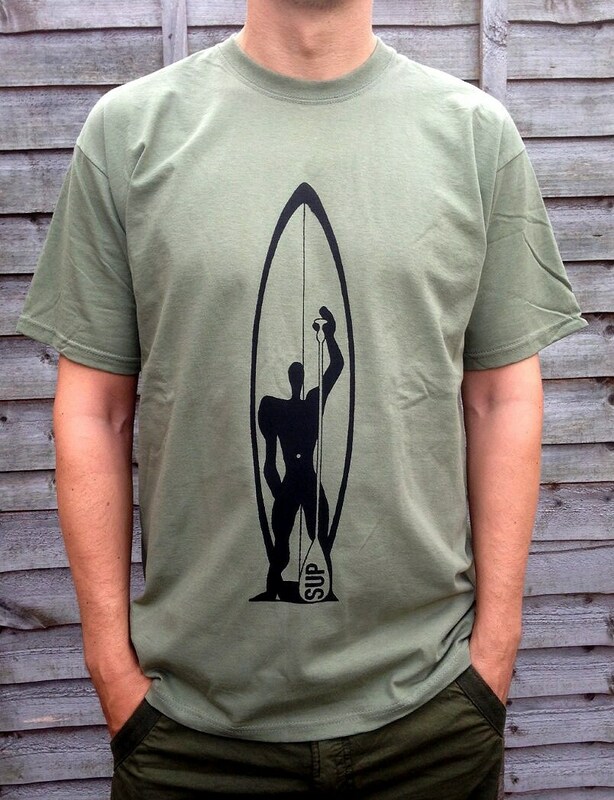 I designed this Tshirt because I love to SUP. I hand screenprint every one of the Tshirts for those who love SUP. The idea came from my past and present passions. I used to be an architect so I have the modulor as the human element in the design holding the paddle the way we measure paddle length. The paddle board behind has a vertical line representing the origin of paddling from Hawaii using Hawaiian longboards. Instead of writing a specific brand name or pattern onto the board or the paddle I think simply "SUP" is the best motif I could think of. It is for everyone. You can purchase it only here in my shop. I am able to print the design onto different colour or type Tshirts so feel free to get in contact if you have any questions or requirements.